This article will talk about 15 best law schools where one can pursue the 3 year LLB course. The admission to the 3 year LLB course of these three colleges is done on the basis of the score one has obtained in the entrance test and depends on the preference one has in terms of college. The entrance test will check one's command over English language including grammar through a reading passage, the analytical ability which includes Maths and logical awareness and aptitude will be tested. The legal awareness includes general knowledge and legal knowledge and this aptitude covers the major part of the exam i.e. 115 out of a total of 175 questions are from GK whereas there are 30 questions each from the other sections i.e. Maths and logical reasoning and English. One can sit for this exam if he/she has obtained a minimum of 50% marks in the qualifying exam and when one is more than 20 years of age as on July 1 of the given year when one applies for the law admission. There is heavy reservation and around half the seats are reserved. For admission into the 3 year LLB course one has to clear the entrance exam called BHU UET. The exam will be for a total marks of 450 and there will be a total of 150 questions. The subjects one will be tested on are General Knowledge, Legal aptitude and Mental ability. One will also be tested on command over the language by a reading comprehension passage. There will be different passages in Hindi and English and the entrant has to choose to answer a passage in either language. The eligibility criteria is that one should have a three year degree such as B.Sc. or B.A. or B.Com. Basically one should have completed 15 years of education in the pattern 10+2+3 years. The student should have scored 50% marks aggregate counting all subjects in the degree course. This percentage of marks does not cover subjects where only pass marks are required and the score of those subjects is also not included which do not contribute to the total marks in the final degree. There is also an age limit and one should not be more than 30 years of age as on July 1 of the year of application. For admission into the three year law program of Government law college in Mumbai one must have a graduation degree. The total number of seats in all are 320 seats. There is 50% reservation in favor of students from the state of Maharashtra. The admission to the government law college 3 year LLB course will be done on the basis of a common entrance test called CET. The paper pattern will test one's knowledge and legal aptitude where a legal principle and facts will be given and a conclusion is to be arrived at , general knowledge which includes geography, economics, civics, general science and current affairs of both national and international level, logical and analytical reasoning where you have to identify links, analogies, complete the arguments, syllogisms and more and finally one's command of the English language will be tested. The admission to the 3 year LLB course to this college of repute takes place on the basis of scores obtained in a entrance exam called MAH LAW CET 3 years. The exam will be conducted in the online format. The total sections and their weightage is that Legal aptitude gets 30 marks weightage, GK gets 40 marks weightage, logical reasoning questions worth 30 marks and questions on English worth 50 marks will be asked in the paper. Total score comes upto 150 marks. There will be no negative marking and the duration of the test will be 2 hours. The syllabus for legal aptitude consists of questions based on principle and fact where the legal principle will be given and that will have to be applied to the fact and one has to arrive at a conclusion based on given information. The GK section will be a mixed bag from topics such as History, general science, economics, civics, current affairs from both national and international arena. Logical and analytical reasoning covers questions when one has to apply rules or principles to facts, correcting illogical arguments, logical sequences. There will be syllogisms, and analogies as well. Finally comes the English section where one's vocabulary will be tested, questions on antonyms and synonyms will be asked, idioms and one word substitution questions are common, and finally there will be passages and questions framed from out of the passage. Bhartiya VidyaPeeth university's law school known as New Law College, Pune and it offers a 3 year LLB course. The admission to this law school is given on the basis of the entrance test conducted by the college and students must attend the counseling or their candidature will be cancelled. General category candidates who score 50% marks in the entrance exam are deemed to have cleared the exam and SC and ST students clear if they score 45% marks in the exam. 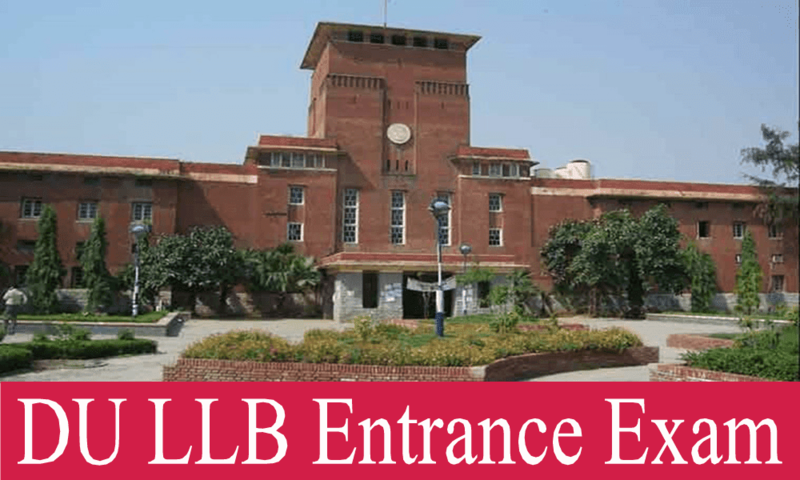 The admission into Punjab University's 3 year LLB course is done on the basis of an entrance exam. The eligibility criteria is that one should have done a degree course in any discipline from Punjab University with a minimum of 45% marks and for SC and ST candidates this minimum percentage is 40%. One is also eligible if one has done a degree course equivalent to a degree course from Punjab University in any discipline from a university other than Punjab University. The minimum marks obtained by a general category student should be 45% and for SC and ST students this minimum score is 40%. If the student had a classical language such as Sanskrit, Persian and Arabic or modern Indian language such as Hindi, Urdu, Gurmukhi as a paper in the qualifying exam then the marks of the language will be counted and the marks of English optional and an elective subject taken together will not be counted. The exam will be held offline and the duration is 1.5 hours. The total marks are 75 out of which 50 marks for 50 objective type questions and 25 marks for subjective questions. For each correct answer one gets 1 mark and for every wrong answer .25 marks get deducted. The objective questions are from the legal aptitude, GK and English sections and the subjective questions will be from legal aptitude and writing and communication skills. The admission to the 3 year LLB course is given on the basis of the score in MAH LLB 3 year CET. In order to be eligible one has to have a three year degree from Maharashtra University or any University recognized by the University Grants Commission. The exam will consist of four sections which are legal aptitude and reasoning, logical and analytical reasoning, General Knowledge and English. The total number of questions is 150 and the total marks are 150. There will be no negative marking and the exam duration is two hours. The admission to the 3 year law program of the college will be done on the basis on LSAT scores. The eligibility criteria is that one must have a degree in any faculty offered by a university which is recognized by University Grants Commission. The minimum marks one must have obtained in the degree course is 45%. Some seats are reserved for SC and STs. While the minimum marks obtained in order to be eligible for general category students is 45% the minimum marks for SC and ST students for being eligible is 40%. The admission will be given on the basis of LSAT scores. The admission eligibility criteria is that one should have a graduation degree in any stream in any university and one should have scored a minimum 45% marks in the degree course. This minimum percentage in case of SC and ST category students is 40%. The admission will be given on the basis of scores obtained in the LSAT test. The admission is granted on the basis of scores of Andhra Pradesh law CET. The minimum criteria in terms of educational qualifications is that one should be a graduate in any discipline from a university recognized by the University Grants Commission. The minimum marks obtained by the students in the degree course should be 45% and the general category students should not be more than 30 years of age as on December 31 in the year in which they applied for the course and this age limit for SC and ST students is 35 years. The admission to this college is granted on the basis of LSAT scores. The course is open to those who have a graduation degree. This degree could be in any discipline from a university which is recognized by the University Grants Commission. The admission to this college is granted on the basis of one's score in LSAT. The course is open to all students who have a three year degree. This degree can be in any discipline as long as the university that provides the degree is recognized by the university grants commission. This article will talk about 15 best law schools and collage where one can pursue the 3 year LLB course. Three Delhi University law colleges etc.